‘Powered by Beeline’ is offered for a monthly fee to any dealer (no Beeline van required). Think of it as OpenTable for bike shops, the company says. SIMI VALLEY, Calif. (BRAIN) — In a play to make it more affordable for bike shops to expand into mobile service and repair and to help them fulfill online purchases, Accell North America is making the software previously used by its Beeline franchisees available to any brick-and-mortar dealer. 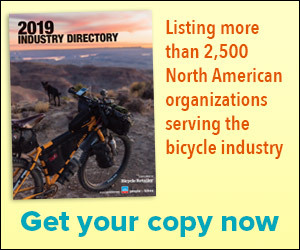 KENT, Wash. (BRAIN) — Under its new parent, Accell Group, Beeline Bikes is mapping out aggressive growth plans both domestically and internationally. In a call with Bicycle Retailer & Industry News, Accell North America CEO John Short said the goal is for Beeline to operate in 30 U.S. cities by end of year and 60 by end of 2019. PLAISTOW, N.H. (BRAIN) — Members of the Independent Mobile Bicycle Professionals group have decided not to form a trade association, but instead to explore ways to work with the Professional Bicycle Mechanics Association. SAN CARLOS, Calif. (BRAIN) — Beeline Bikes has launched its newest mobile bike shop, in California's Capitol city. Beeline Bikes of Sacramento marks the second territory owned by Bzur Haun, who acquired Beeline Bikes NorCal in August 2017.